Sal and Charlie have been together since university. However, their relationship is anything but on an equal fitting as Sal stays at home to look after Maggie, their four year old, whilst Charlie works as a corporate lawyer. It becomes apparent that Sal walks on eggshells to keep the relationship on an even keel, but the book starts at the point that the wife snaps and stabs her husband, but what gets them to that point? This well told thriller about domestic abuse had me turning the pages, but what made me want to go back and read it all over again, not something I often feel I want to do with a thriller, is the whiplash inducing twist that just turned everything on its head. It’s good to read a book every now and then that challenges your perception and Between You and Me definitely does that. I had to give this one the full five stars as it’s the biggest twist of the year. If you pick this book up, clear your schedule as you will need uninterrupted time with this one. 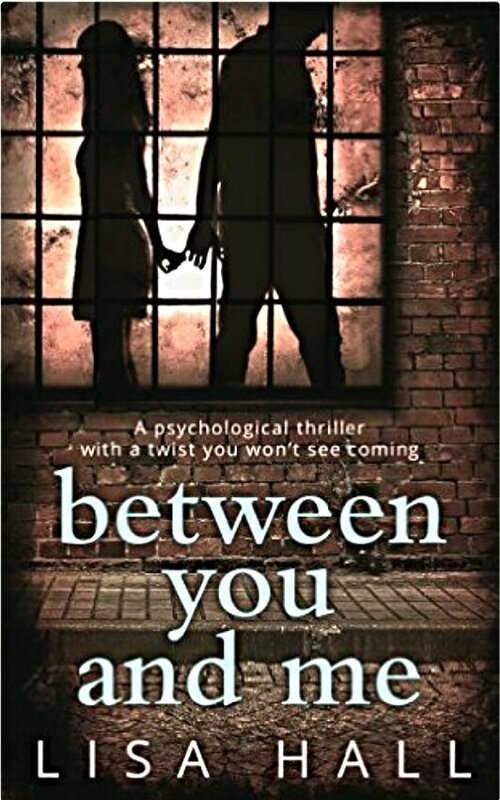 Between You and Me is available for pre-order and will be published on 17th March 2016. Wow, now I want to clear my TBR for this one. You’ll need a do not disturb sign for this one. I should send everyone away for a weekend and switch off all phones! It won’t take you long to read bit, probably a day. Ooh, like the sound of this! Where can I lay my hands on this? Sounds like my kind of book but I am having trouble find a copy.